RiceLand Waterfowl Club! 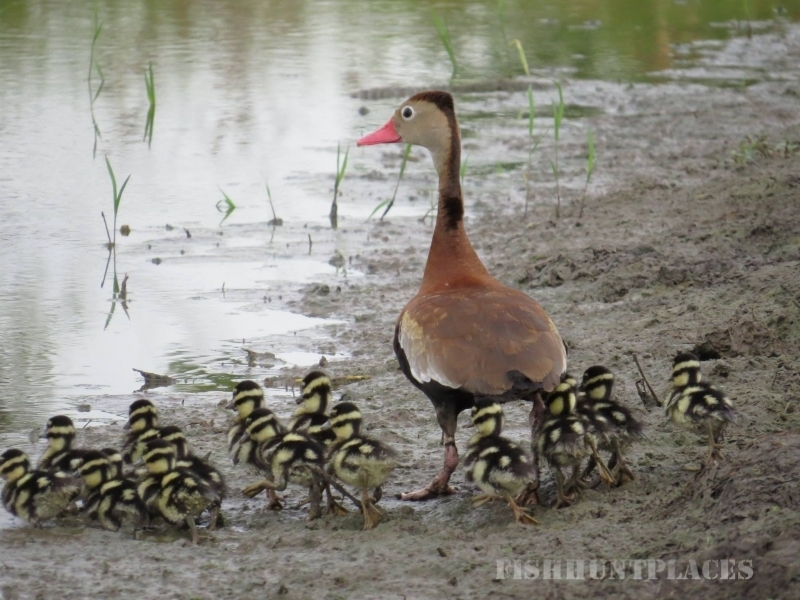 If you are looking forward to duck or goose hunting as much as we are, take a look at what RiceLand Waterfowl Club has to offer you here in Texas. 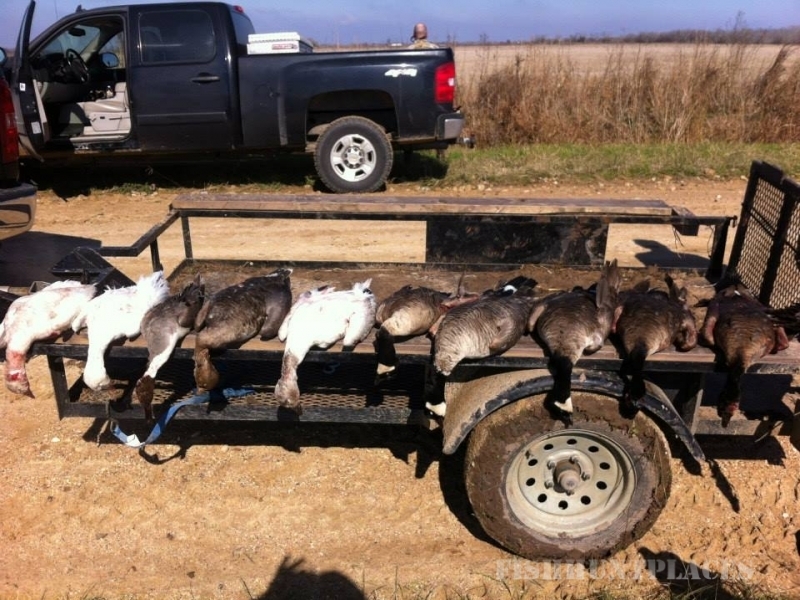 Our seasonal lease members, and their ideas are the total body of our waterfowl hunting club. Seasonal members are our number #1 priority. 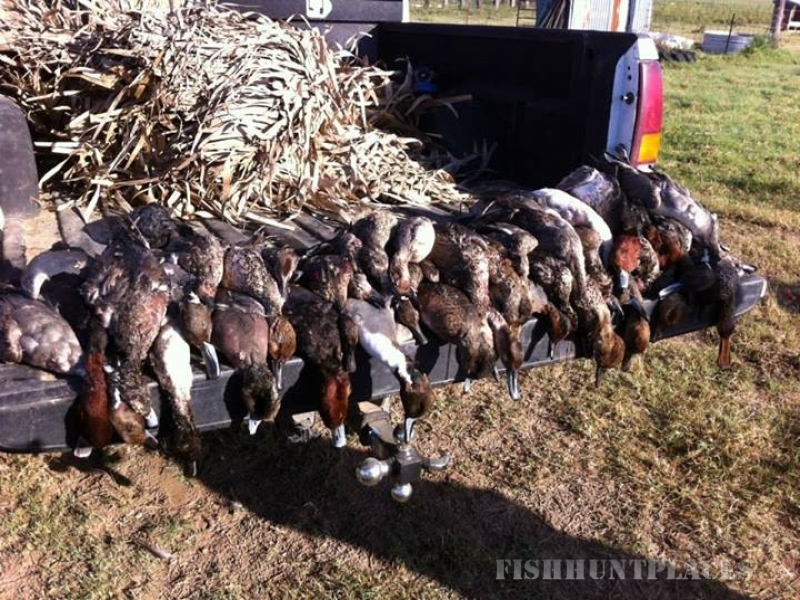 This is what sets us apart from other waterfowl hunting clubs in Texas. We limit the number of memberships, and members only guided duck and goose hunts; this provides not only a resting for the waterfowl, but also means that our club members have better quality waterfowl hunts. Because most of our members prefer duck hunting over goose hunting, we pump water-- lots of water! From our roost ponds that hold tens of thousands of geese and ducks to the flooded flats, our water is guaranteed! Every seasonal club group will have access to all the land, duck blinds, and water to hunt ducks and geese all year long. We understand, like you, having water equals waterfowl. Our property has large water wells on them, to guarantee water where as other Texas duck hunting leases depend mostly on rain water. This is what produces clouds of ducks, geese, and sandhill cranes on our hunting properties. Our duck and goose hunting properties are located in the surrounding areas of Katy, Eagle Lake, Chesterville, Lissie, Garwood, Edna, East Bernard, Winnie, and the El Campo Texas rice lands. These areas of Texas have been the wintering home to hundreds of thousands of Snow, Blue, Specklebelly, Ross, Lesser Canada geese, and Sandhill Cranes, along with over 18 different species of ducks. 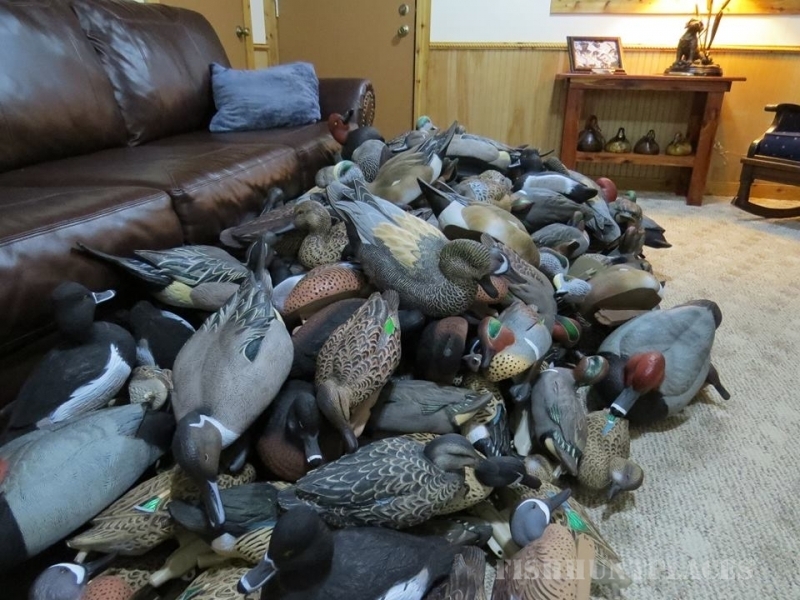 The most common ducks hunted are Teal, Pintail, Gadwall, Wigeon, and Shovelers. We also shoot Mallards, Bluebills, Redheads and Canvasbacks quite often. Whether you’re a well-seasoned goose or duck hunter in Texas, or new to the rich heritage of waterfowling, we believe that your hunting experience with us will be so over the top incredible that you’ll keep coming back year after year! When you find what works, there is no need to hunt waterfowl anywhere else! And we consistently, successfully kill ducks and geese, and that’s what separates us from the rest of the flock. 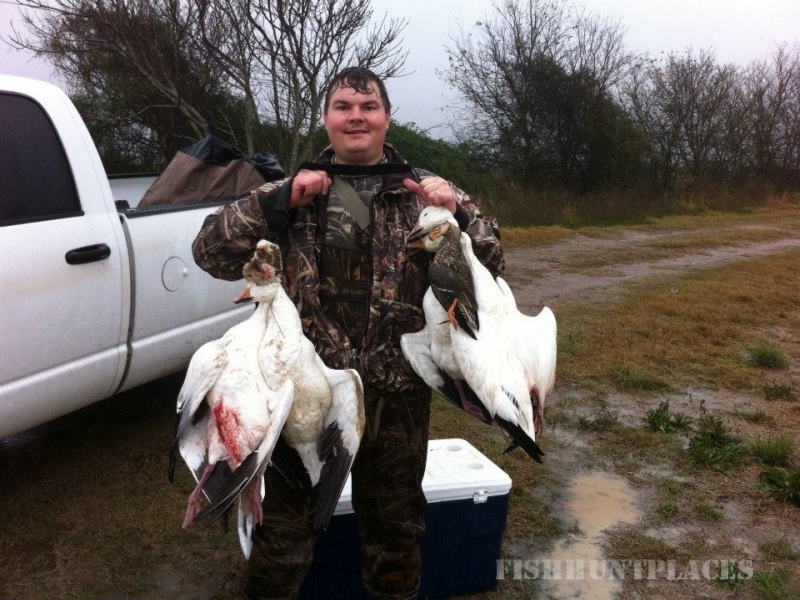 We’re positive you’ll find Riceland Waterfowl Club has the duck and goose lease in Texas or members only guided hunt you are looking for this year. And remember our Water is Guaranteed!